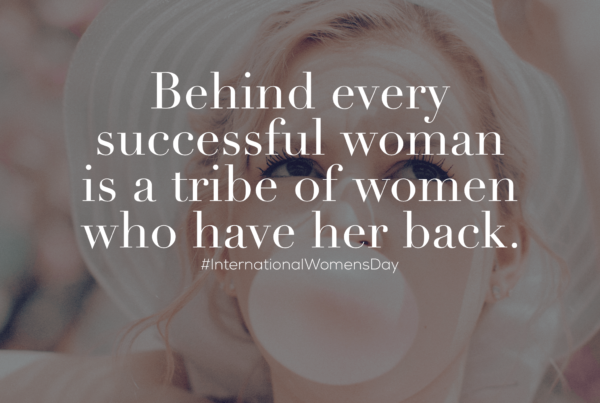 It runs in the family. DJ Khaled, Nicole Tuck and Asahd Tuck Khaled made a special appearance and joined Durée & Company to support owner Michael Tuck at the Grand Opening of his new speakeasy bar, The Hideaway, in Downtown Fort Lauderdale, FL on Wednesday, 11/13. 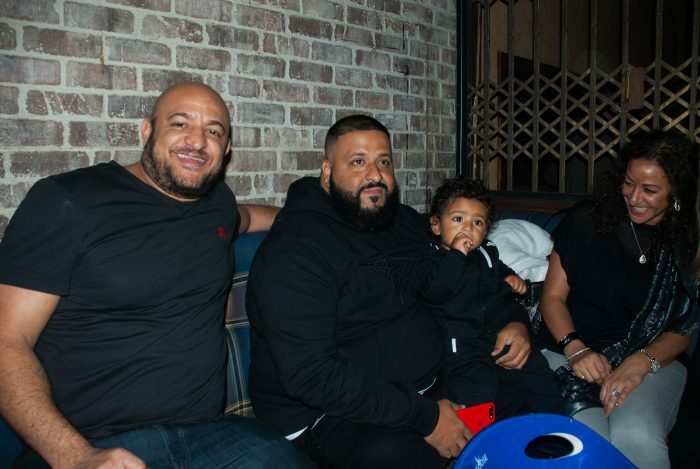 The Khaled clan enjoyed the evening in true Khaled fashion – taking Snapchats and out past their bedtime. DJ Khaled was overheard saying “it runs in the family, music, and nightlife are in our blood,” as he embraced his soon-to-be brother-in-law, Michael Tuck, in a bear hug. Asahd was seen bouncing to the beat on daddy’s lap while sipping on his bottle. 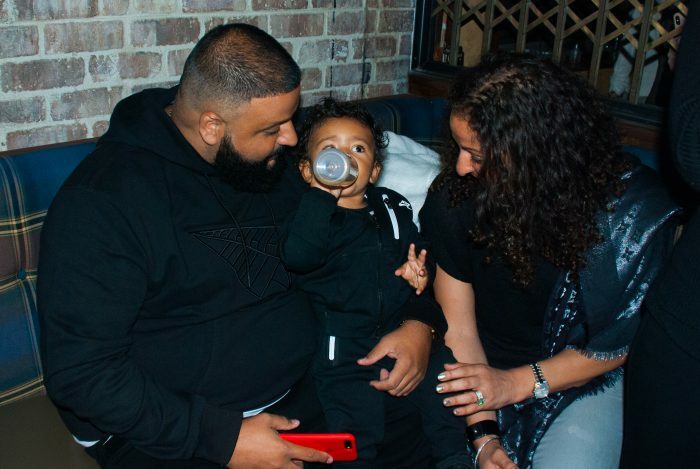 Only the best milk bottle service for Asahd at The Hideaway.